The biggest life lesson I gained from walking 4,300 miles on the Appalachian Trail in 2012 is the simplest one: walking makes you healthy. By 'healthy' I mean 'feeling good' - nothing more complex than that. There are plenty of studies that prove that regular exercise reduces risk of heart disease and stroke, lowers levels of bad cholesterol, reduces risk of diabetes, etc. etc. If you exercise you're likely to live longer. Wonderful. But if you're like me, these abstract studies aren't motivation enough to get up off the couch. My daily life does not revolve around worrying about my life expectancy--that's not a healthy attitude. Far better to be living today to the fullest regardless--as if there are no guarantees about tomorrow. And I expect most people agree. Give me something that enhances today's experience and I'm all in. Well, that's what walking the AT showed me. For 270 days I walked an average of about sixteen miles per day at barely over two miles per hour--on the low end of what's considered 'moderate exercise'. That's about the pace normal people walk doing normal things like walking their dog. Before I started my AT hike I had suffered from chronic back pain for eight years--almost continuous daily discomfort. When I finished my hike I suddenly realized that all that back pain was gone--completely gone. Not diminished, gone. For me, that alone was enough. But I also felt a general increased sense of well-being. I felt clear-headed, sharper of mind. These daily 'quality of life' metrics are hard to pin down in any concrete way, and they can be affected by plenty of non-exercise related factors that enter one's daily life style. Maybe I felt happier because I had just taken a ten-month 'vacation' in a beautiful natural environment. Well, maybe that's part of the point. 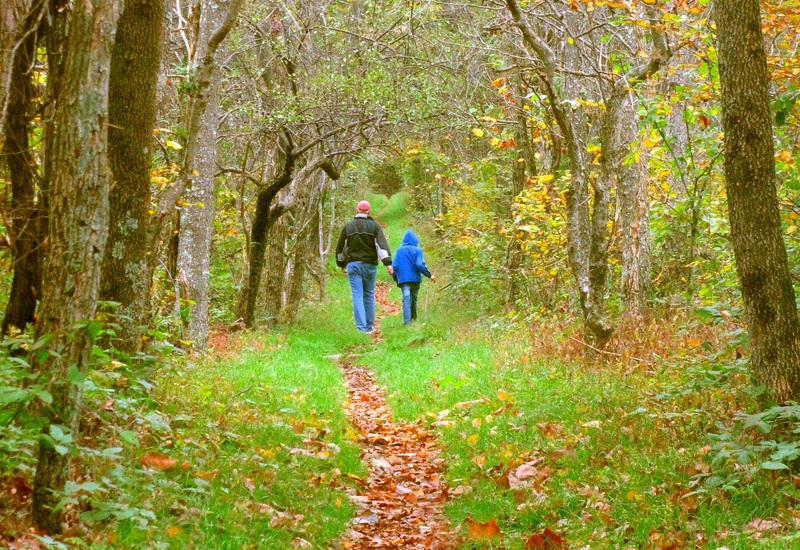 I recently ran across a comprehensive article on 'Forest Therapy' at OutsideOnLine.com that shows that a serene walk in the woods has enormous health benefits that have nothing to do with the exercise but seem, instead, to be derived from exposure to a simple natural environment. So start there. No sweat or heavy breathing, just go out and take a mini-vacation in the woods or in a park and unwind. Next, consider the relative benefits of being on the move rather than being a couch potato. Again no sweat or heavy breathing, just toodling around in the park or the mall, or cleaning out the closet--whatever keeps you from that deadly sedentary position. It's called N.E.A.T. (Non-exercise activity thermogenesis) and we all do it anyhow. The link above discusses the very real benefits of simply adjusting your life style a little--again no real exercise involved. Now if you add a true walk into this mix--preferably several times a week, you'll get closer to the full 'inoculation' against all those nasty cardiovascular problems. Here's a good comprehensive discussion of how just plain walking is all you really need for a healthy lifestyle. And then there's this recent study that confirms the benefits of walking and puts it on par with the full aerobic workouts that running provides, but without the body-pounding injury risks of running. Now, finally, if you want to go the whole way, try doing just ONE MINUTE of high intensity exercise three times a week. You can do this by just running up a single flight of stairs a few times each day during the course of your every day activities--no jogging suit, no gyms, nothing. Recent revolutionary studies show that this H.I.T. (High intensity training) regimen gives you all the benefits of prolonged aerobic exercise. The key is to really go all-out for just 20 or 30 seconds. Don't try this unless you're limbered up, though--don't want any pulled muscles, etc. In a recent PBS documentary, physician Michael Mosley discusses and tries the HIT regimen, and finds that it does what it claims. Now here's the bottom line--the take-away point: Nothing I've recommended above, with the possible exception of taking a long walk, needs to change the way you live your exercise-averse lifestyle. Just try to find an excuse to spend more time doing the active things you already like to do. Stand up and pace around while talking on the phone. 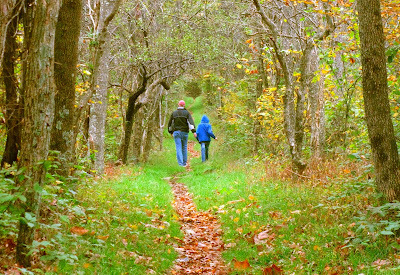 Get out and walk at lunchtime rather than spending the entire lunch break in a chair. Take the steps rather than the elevator. Park a little further away from the grocery store and walk the extra few dozen yards. It all adds up. Then try a few walks in the woods--get out and smell the flowers. If it feels good, keep it up! Here's to your health.